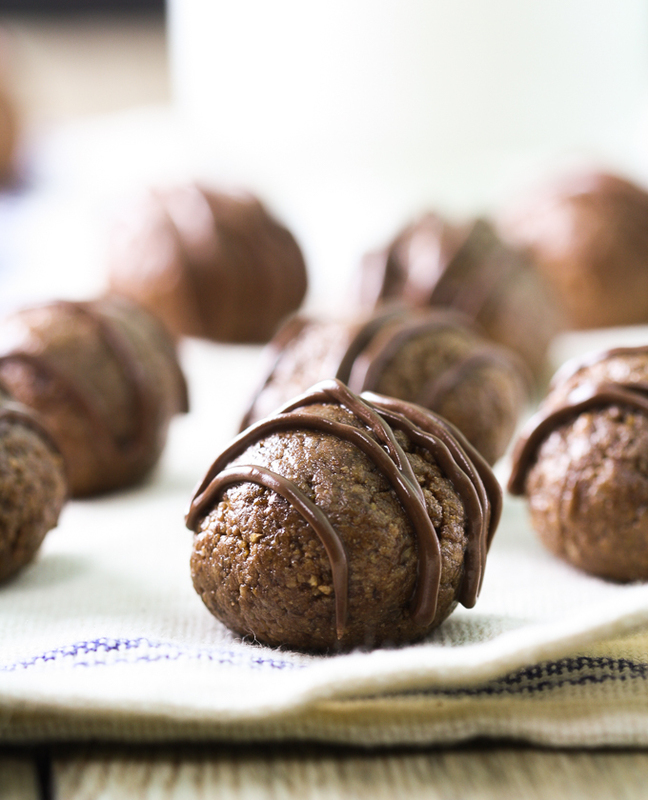 These chocolate protein balls make the perfect healthy and portable (dual bonus!) snack. Made with pitted dates, chia seeds, peanut butter, unsweetened cocoa, and rice krispies, they are delicious while packing a nutritional punch that will give you a boost at any time of day. They also have whey protein, a high-quality source of protein that may provide several benefits, such as helping to minimize hunger. Once you’ve made it, feel free to share the recipe with family and friends on Facebook, Pinterest, Instagram, and Twitter. These yummy, good-for-you treats take minimal effort to put together (just a few easy steps), making them convenient to make on a whim if you already have the ingredients on hand. First, combine the pitted dates and water in a small bowl and microwave on high for three minutes. Let stand for five minutes. In the meantime, pulse the rice krispies cereal in a food processor until it becomes a powder. Add in the unsweetened cocoa, Cabot Whey Protein powder, salt, and chia seeds and pulse to combine. Drain the dates and add to food processor along with the honey and peanut butter, pulsing until the mixture starts to form a thick dough. Almost ready to eat! Just spoon out rounded tablespoons of the mixture and roll into balls. Drizzle with melted chocolate chips (this step is optional but highly recommended!) and enjoy a tasty snack. Store in a sealed container in the refrigerator. 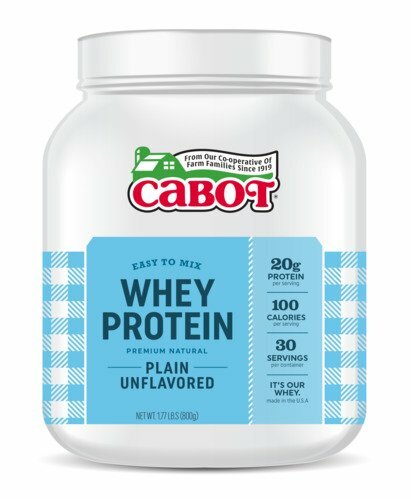 Looking for another recipe that uses Cabot Whey Protein powder and makes a terrific snack or breakfast? Then our High Protein Breakfast Granola Bites, which combine the fantastic flavors of brown sugar, cinnamon, and ginger, are for you! Did you know that Cabot is a cooperative of 800 farm families who all work diligently to produce only the highest quality products? We’d love for you to share your thoughts about these chocolate protein balls so, if you could rate and review the recipe once you’ve tried it, we’d really appreciate it! COMBINE dates and water in a small bowl; microwave on HIGH 3 minutes. Let stand 5 minutes; drain dates. PLACE cereal in bowl of a food processor; pulse to a powder. Add cocoa, whey protein, salt and chia seeds; pulse to combine. Drain dates and add to food processor with honey and peanut butter; pulse until mixture begins to form a thick dough. SPOON out by rounded tablespoons and roll mixture into balls using hands. Drizzle with additional melted chocolate, if desired. Store in refrigerator. Recipe and photo courtesy of Regan Miller.